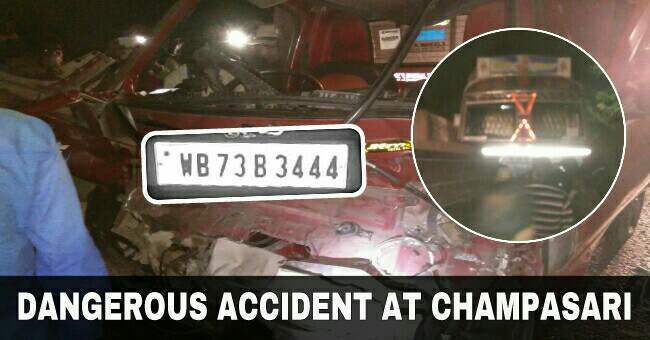 A small goods carrier coming in full speed from wrong side collides head on with a truck at Champasari in Siliguri a while ago. The condition of the goods carrier is said to be very critical. He has been admitted to a nearby hospital. Police is on spot and have opened the traffic which had halted for some time. Locals say the driver was drunk, but we cannot verify the same right now. The vehicle number of the goods vehicle is WB73B3444.